This entry was posted on June 6, 2015 by MikeP. 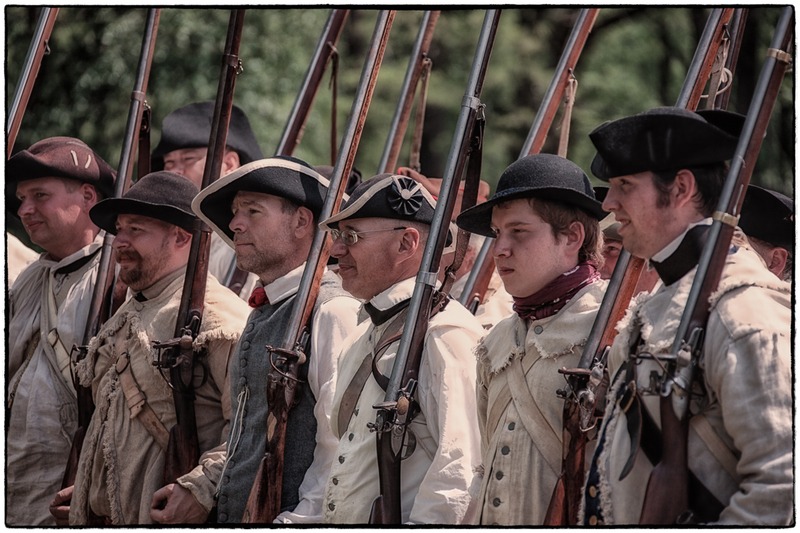 It was filed under Local, Meetup Group, Travel and was tagged with history, Jockey Hollow, NJ, photo essay, Photography, Revolutionary War, Techniques and Styles, travel, United States, War. Wow! These are wonderful. You really captured the period and the event. Wonderful set of images Mike. I love how together they tell the story of this re-enactment. Speaking of stories, it was nice of you to share your journey of creating and processing these images into that wonderful set. Of course the scary thing is that a few days ago I posted a similar set of images on my blog. We’ve got to stop thinking a like. Thanks Pat… one of my fav things to do on this blog. Super job once again! Favorites include #s 9, 15, & 18. These, together with your previous re-enactment photos would make a great exhibit or coffee table book! Hmmm… do not temp me… but I know how much it would take to exhibit… my hats off to you and Pat. Simply magnificent, Mike. My two favorites are the little girl in #5 and the man with the incredible eye in #8. What an opportunity! Nice work, Mike. #14 is a winner, a moving portrait, and #5 is close by. Big thanks for stopping by Ralph… I have been experimenting with a longer lens to try and get shots when they are not aware. Mike, you said it was a small gathering and there wasn’t much there… you certainly made the most of it, moving shots that capture the feeling. Hi Ron… you know the saying “when given lemonade….” I always give a good try and am glad as many came out as they did. I expect the best from Mike Pillows and you always deliver. I especially like the girl writing, mood provoking. Great work Mike. Thanks Virginia… I almost past right by her, had to dbl back when I saw the light. As usual, very very well done. Big thanks for the continued follow… small event but I thought it came out pretty well.